“Tax Season” has come and gone, so let’s talk tax… specifically for the Limited Liability Company (LLC’s). Reporting earnings for LLC’s remains uncertain for the purpose of self-employment tax largely due to some ambiguity of self-employment tax laws. By definition, a Limited Liability Company is a business structure allowed by state statute, not Federal, and possibly using different regulations depending on the state’s rules and restrictions. 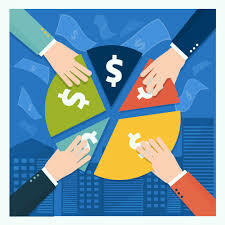 Owners of the LLC are considered members, and members may include individuals, corporations, or other LLC’s. Depending on the entity classification elections of the LLC and the number of members, the IRS has historically treated an LLC as either a corporation, partnership, or single-member LLC, commonly referred to as a disregarded entity. An LLC with only one member is treated as an entity “disregarded” as separate from its owner for income tax purposes (but as a separate entity for purposes of employment tax and certain excise taxes) more commonly designated for individual LLC’s owner’s as part of the owner’s tax return. If a single-member LLC owner does not elect to be treated as a corporation, the company’s activities will generally be treated as income on the owner’s tax return. Specifically in reference to taxation, an individual owner of a single-member LLC that operates a trade or business is subject to the tax on net earnings from self-employment in the same manner as a sole proprietorship. If the single-member LLC is owned by a corporation or partnership, the LLC should be reflected on its owner’s federal tax return as a division of the corporation or partnership. As per federal tax guidelines, a single-member LLC classified as a disregarded entity must generally use the owners social security number for all returns related to income tax. In addition, if the LLC has any had employees, the single-member owner will need to obtain an EIN (employer identification number) for employment tax and to file excise tax forms For wages paid after January 1, 2009, the single-member LLC is required to use its name and employer identification number (EIN) for reporting and payment of employment taxes. As far as taxes go, profits and losses of the LLC “pass through” the business to the LLC owners (members), who report this information on their personal tax returns. The LLC itself does not pay federal income taxes, but some states do charge the LLC itself a tax. However, if the LLC will regularly need to retain a significant amount of profits in the company, the owner (and co-owners, if any) may be able to save money by electing to have the LLC taxed as a corporation. 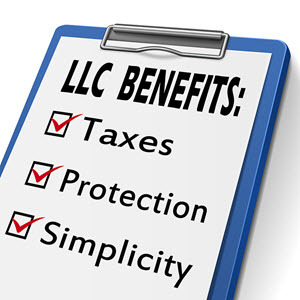 Because LLC members are not considered employees of the LLC, but rather self-employed business owners, they are not subject to tax withholding. Instead, each LLC member is responsible for setting aside enough money to pay taxes on his/her share of the profits. The members must estimate the amount of tax they’ll owe for the year and make payments to the IRS (and occasionally to the appropriate state tax agency) each quarter—in April, June, September and January.